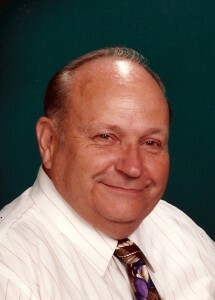 Marion Calvert Warbritton went to be with the Lord on Wed., Sept. 30, 2009. Marion was born March 29, 1933, in Mount Ida, Kans., to Onita Mary Baum and Claude Calvert Warbritton. Growing up, Marion was involved in 4H for 10 years, raised registered Southdown sheep, and was Kansas State Sheep Champion in 1949. Marion graduated high school in Garnett, Kans., in 1951. He joined the U.S. Marine Corp on April 20, 1953. He served 20 years, including four tours in Vietnam. He retired from the U.S. Naval Disciplinary Command, Portsmouth, N.H., as a 1st Sergeant. After retiring from the military, Marion attended college part-time and graduated with a teaching degree from Pittsburg, Kans., Phi Theta Kappa in 1990. While in college, he did apartment maintenance and ran a doughnut shop, and upon graduation taught Vocational Tech Ed (VE) five years at Leavenworth Federal Penitentiary, took a break and became the Plant Engineer for two years for Winchester, Kans., Jefferson Co. Memorial Hospital and Geriatric Center, then taught VE again at Lansing State Prison for 10 years. When that job was discontinued, he substitute taught at three schools in rural areas in Kansas until he retired from teaching. After his wife, Patricia, retired from her job, they traveled for eight years full-time before health problems caused them to settle down in Concrete, Wash., near family. Marion leaves behind a loving wife, Patricia Warbritton, two sons, Michael Warbritton (Brenda) of San Diego, Calif., Mark Warbritton of Lawrence, Kans., two stepsons, Wayne Scherer (Margi) and Kevin Scherer (Charity) of Concrete, Wash., sister Claudine Dunn, brother Fred Warbritton, both of Topeka, Kans., seven grandchildren (A. J., Jacob, Lisa, Brian, Lukas, Kirsten and Geneva) and four great-grandchildren (Garrett, Darren, Preston and Peyton). Marion was preceded in death by his mother, father and son, David Wayne Warbritton. A date for Marion’s Remembrance will be forthcoming in the near future. The family suggests memorial donations in Marion’s honor to Skagit Hospice, 819 S. 13th St., Mount Vernon, WA 98274, or Cancer Care Center, P.O. Box 1376, Mt. Vernon, WA 98273-1376. Cremation arrangements are under the care of Lemley Chapel, Sedro-Woolley. Please share your memories and sign the online guest register at www.lemleychapel.com.